Maybe in ten years you’ll be able to lick your computer screen and taste these guys. But I wish you could now. 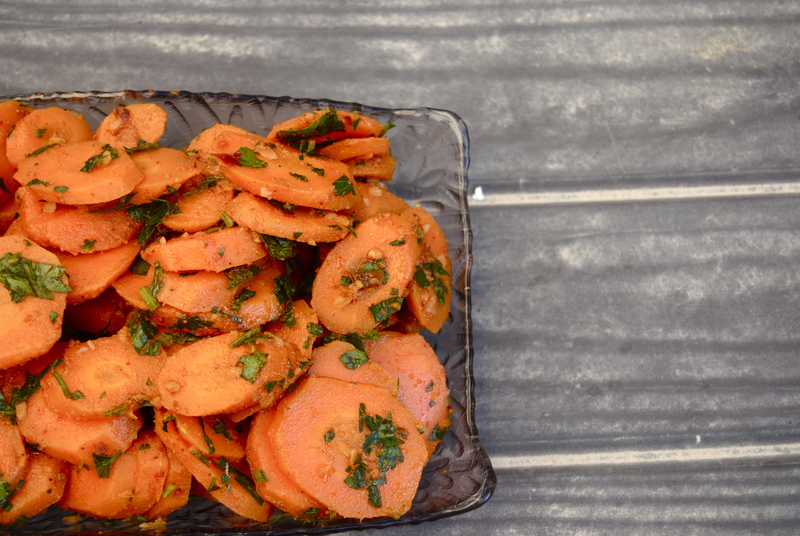 These carrots are lemony, slightly spicy and oh-so-soft. When I went to Morocco, this was served as part of a mezze with lots of other intriguing salad combinations, including soft carrot sticks that had been soaked in sugar and orange blossom juice. To die for. This salad is very different though. It’s bold, flavorful and perfect for the summer when you want something light but fresh and tangy. It’s not even 10 AM here yet and it’s already 80 degrees. So on hot days like these, this is really refreshing and will help you cope with the heat. You can pair it with meat, serve it as an appetizer or just eat it straight as a salad. Definitely worth giving a go if you’ve never had this before. Throw the carrots into a pot with boiling water and let boil for 10 minutes or until soft. Remove from the pot, strain and run the carrots under cold water. 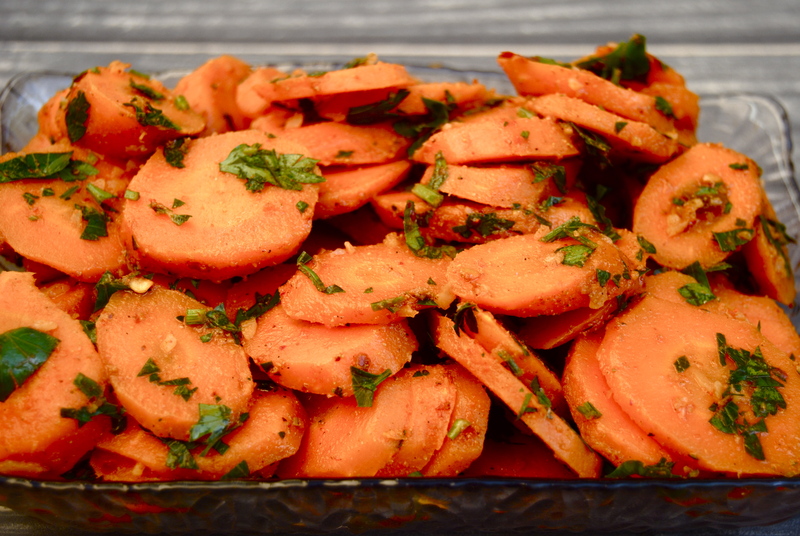 Return to a cutting board and slice the carrots at an angle into thin coins. Add the spices, season with salt, and stir until all the seasonings are well combined. Let stand on the counter or place in the fridge for at least one hour before serving so all the flavors soak into the carrots. Serve cold or at room temperature. This will be good for up to two days in the fridge. Enjoy! Delicious! I added this as an easy extra side to my passover meal – already plan on making it again next year and many times in between. I HATE parsley, so I substituted fresh mint, which toned down the spice a bit. A must try when you are hosting more than a few people and want something you can make in advance. Thanks Lauren! Great idea, Annie! Sounds delish and I’m glad you enjoyed it!